Speaking of that, that almost looks like a bowl of dirty sand on the right side of the table. Mega ashtray? I had no idea who this was until I googled. 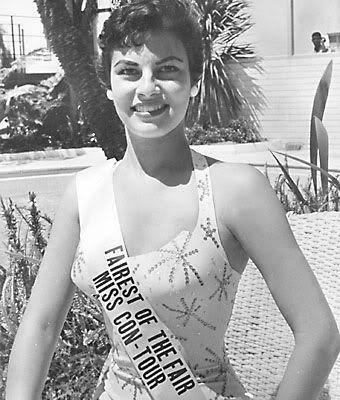 She looked like a different person, face-wise. Sarzy, azoria, Sylkyn and 1 others like this. 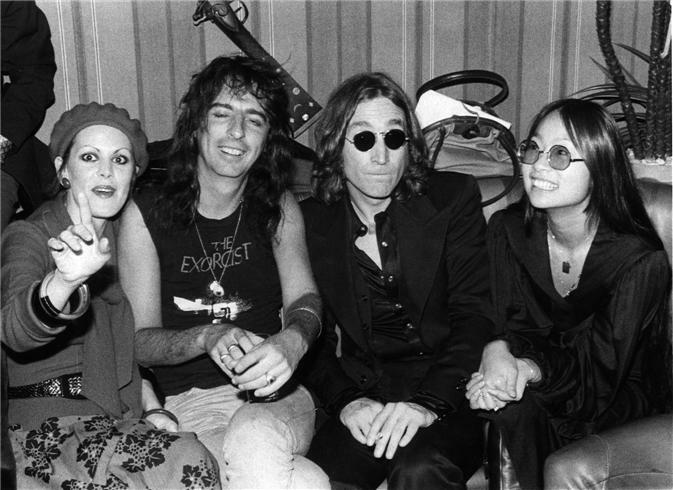 Alice Cooper, John Lennon (and I believe his mistress) and another lady. 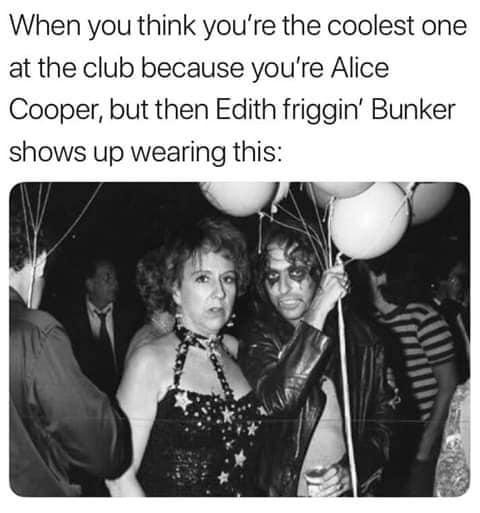 Jean Stapleton (Edith Bunker) and Alice Cooper at a party. 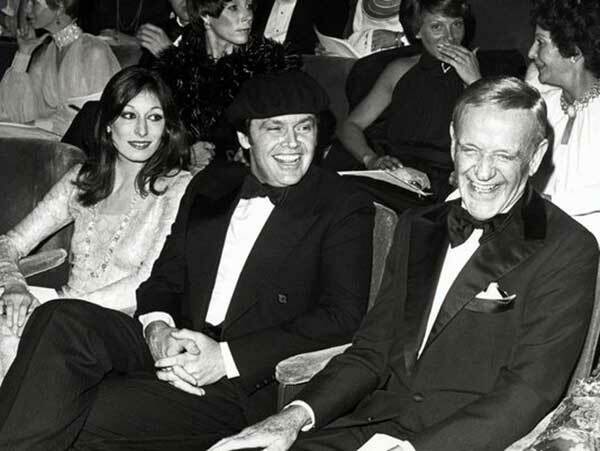 Anjelica Huston, Jack Nicholson and Fred Astaire. Sarzy, MohandasKGanja, Brookie and 3 others like this. Sixteen? Get out. That would be a felony these days. I dare say that by age 16 Bowie knew his way around. Hoo-wee, the man was beautiful. I still don’t know who this is! ETA - Lennon's affair with Pang supposedly started in 1973, when Pang was 23, Lennon was 33, and Ono 40. Daphodil and HWBL like this. If you right click the original post, there's an option to do a Google search. Holy nose job I say. Christ, David Bowie was SO DAMN HOT. I about hyperventilated seeing that picture. I don't care how old he was. 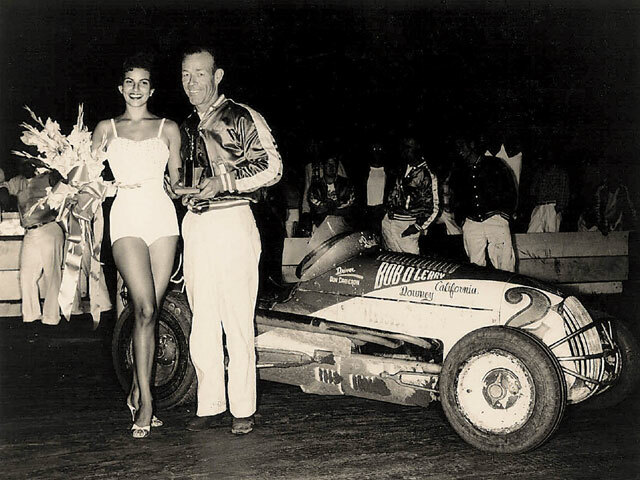 Raquel looked great then, and still looks great. I would kill to have a picture made with Alice Cooper. I've loved him since "School's Out". I was eleven. James Garner, his wife, and daughters. HWBL, Brookie and ConstanceSpry like this. 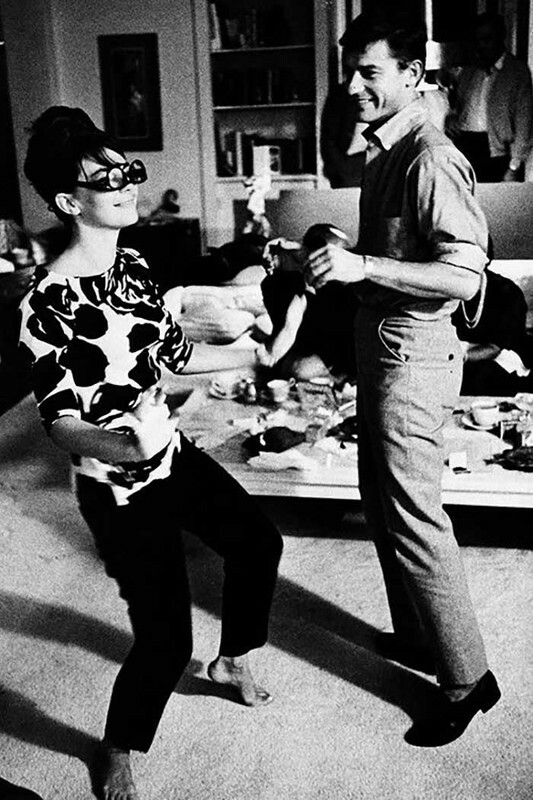 Witchywoman you might like this mini-documentary about James Garner, a good, honest, old-fashioned man. What you saw was who he was. Witchywoman and Mrs Fawlty like this. I just looked Garner up - was only married once. For 48 years - from the age of 28 until he passed away in 2014. Korean war vet (two purple hearts) and a democrat. HWBL, Brookie and Witchywoman like this. According to Wikipedia: The "most explosive revelation" in his autobiography was that Garner smoked marijuana for much of his adult life. "I started smoking it in my late teens," Garner wrote. Brookie, MohandasKGanja, Witchywoman and 1 others like this.